It's been a few days since Neal Brown, former Troy head coach, was named the West Virginia Mountaineer new coach. Coaching is tough in college sports as you have players that trusted you during the recruiting process and a fan base that trusts you to make their program great. But just as all jobs, you're always looking to move up and that's exactly what Coach Brown has done; he's now a Power Five conference head football coach. However, the way you leave school matters. 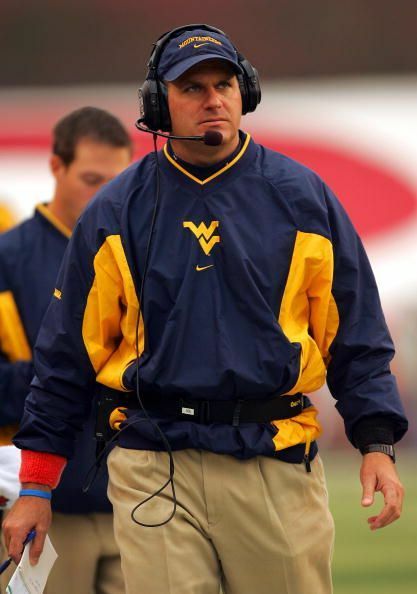 In 2007, WVU Head Coach Rich Rodriquez left the team after a devastating defeat that kept WVU out of the National Championship game. 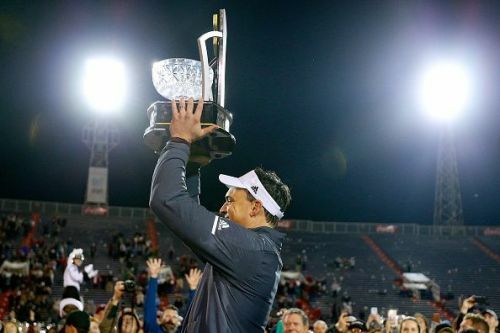 He cut ties with West Virginia and fled to Michigan, an exit that leaves RichRod as one of the most hated sports figures in West Virginia history. Dana Holgorsen may not be hated by the entire fanbase in West Virginia, as he did have a few great moments as their coach; but his exit seemed disingenuous as he said very little during his introductory press conference at Houston and had very little to say in his farewell letter to WVU. Neal Brown, on the other hand, left his post at Troy with a halftime farewell during a college basketball game and has spent the last several days meeting with his former players. Brown seems like a genuine guy who will grasp the tradition of Mountaineer football and West Virginia pride very quickly, something that Holgersen took several years to get around to. Holgorsen came to WVU in December of 2010 and was surrounded by controversy as former Athletic Director Oliver Luck announced that he would take over as the head coach after the 2011 season stating that Bill Stewart was not good enough to bring WVU the national exposure it was capable of. Before Holgorsen ever coached a game in Gold and Blue, he was kicked out of a casino for public intoxication and disturbing the peace. But after it was found out that Stewart tried to dig up negative information on Holgorsen, Luck forced Stewart to resign just weeks after the incident and Dana Holgorsen became the head coach. 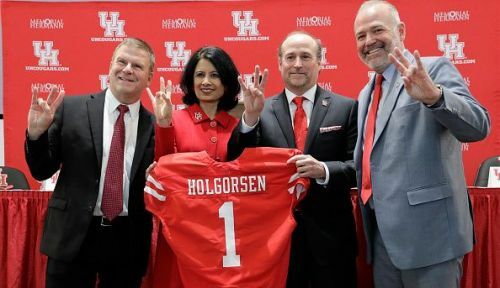 A very bumpy, dramatic start to say the least in what was Holgersen's first job as head coach. While it's to early to say whether Brown will find himself in the middle of any drunken controversies, it does seem that Brown is the wholesome family man that will be a great recruiter and a great coach. It will be interesting to see what moves are made on the coaching staff and the chemistry that exists; Tony Gibson, the defensive coordinator for the Mountaineers, also interviewed for the head coach position. Brown was the 2017 Coach of the Year in the Sun Belt Conference, went 31-8 in his previous three seasons at Troy (including a win at Death Valley vs. LSU in 2017) and has won three straight Bowl games, something Holgorsen couldn't do in eight years at WVU. A fan base like WVU can be hard to please and are a passionate bunch that doesn't mind speaking their minds, but it appears that Shane Lyons, athletic director at WVU, made the perfect hire.